The NFL lockout has affected players in many ways you wouldn’t think about, such as the loss of health insurance. 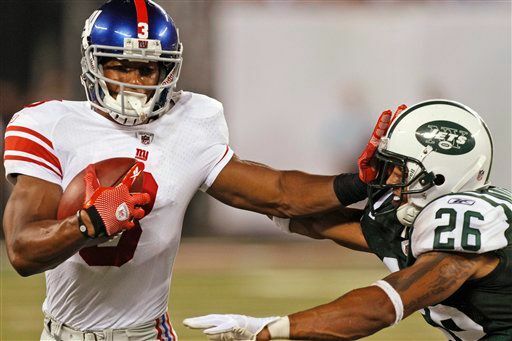 Wide receiver Victor Cruz, the MVP of the Giants’ preseason win over the Jets last year and hopeful contributor to this year’s team, found an easy solution to that problem. The 24-year-old was eligible to go on his mom’s health insurance plan and that’s exactly what he did. While many players are taking a risk in participating in lockout practices with their teammates, Cruz is fully covered. When I finished college, I was on my parents’ insurance for a bit. I wasn’t, however, an NFL player scoring three touchdowns in a game and putting my body on the line. Cruz has a lot of potential and is coming off a season spent on injured reserve with a hamstring injury. It’s guys like him that have the most to lose in the lockout. The owners need to realize that for every Peyton Manning there’s 10 Victor Cruz’s whose livelihoods and futures are being affected. They’re the ones that really deserve the money, not the owners.